What do 18 Nobel Laureates, five US Presidents, five Singapore Presidents and Prime Ministers, Pulitzer Prize and Academy Award winners, scores of CEOs and entrepreneurs have in common? Yale University and NUS have for generations been educating leaders who have shaped history. Now, these two great universities on opposite sides of the globe have come together to answer this question: What must a young person learn in order to lead a responsible life in the 21st century? The result is Yale-NUS College (Yale-NUS), a new model of education that is both rooted in centuries of the best liberal arts and science traditions and profoundly forward-looking. A Yale-NUS education is an education reimagined for this century. By combining the best of a US liberal arts education from Yale with NUS’ distinctive Asian and global strengths, the College creates a unique cross-cultural and societal experience for our students, bearing in mind its relevance to our society at large. For more information on Yale-NUS, please visit www.yale-nus.edu.sg. Duke-NUS was established in 2005 as a collaboration between Duke University and the National University of Singapore (NUS). The curriculum at this US-model, graduate-entry medical school is patterned after that of the Duke University School of Medicine. Duke-NUS Medical School supports Singapore’s Biomedical Sciences Initiative designed to make the country the biomedical hub of Asia, and to attract both research and health sector manufacturing capabilities to Singapore. Learning innovations pioneered at Duke-NUS have been adapted by Duke University and various schools there and in Singapore. This strong exchange has boosted Duke-NUS’ standing amongst its peers for its educational leadership. 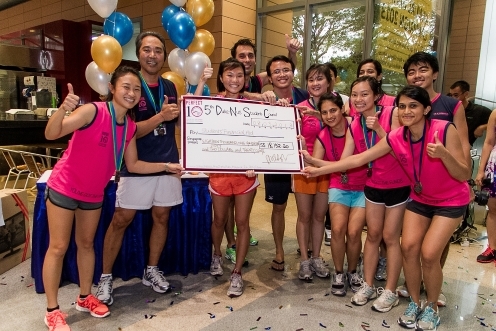 Strategic biomedical research programmes at Duke-NUS are chosen for their relevance. These address major health concerns in Singapore and the region, with programmes capitalising on research strengths of Duke University. To find out more about Duke-NUS, please visit www.duke-nus.edu.sg. 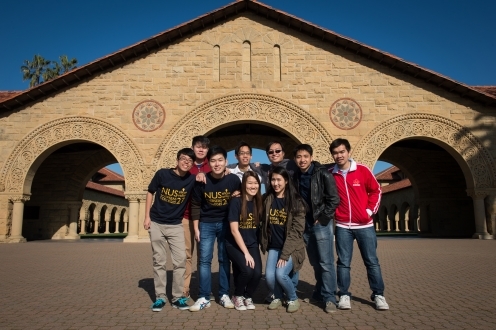 NUS has two NUS Overseas Colleges in the US in Silicon Valley and New York. The highly innovative NUS Overseas Colleges programme targets NUS students with academic ability and entrepreneurial drive who are keen to be immersed as interns in start-ups located in leading entrepreneurial and academic hubs of the world. At the same time, they study entrepreneurship related courses at highly prestigious partner universities. The aim is to cultivate and nurture them into enterprising, resourceful, independent self-starters and eventually blossom into successful entrepreneurs. Today, there are colleges in Silicon Valley and New York, USA; Beijing and Shanghai, China; Stockholm, Sweden; Munich, Germany; Lausanne, Switzerland and Tel Aviv, Israel. These eight colleges are established in leading entrepreneurial hubs involving up to 300 students a year. For more information about the NOC Programme, please visit www.overseas.nus.edu.sg. 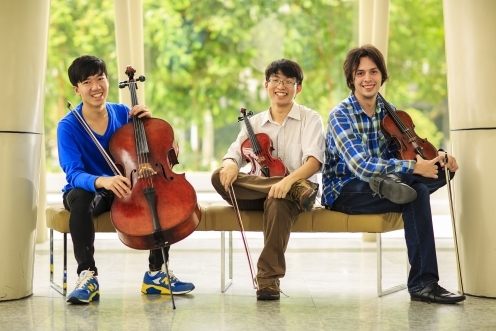 More than a decade ago, Dr Tony Tan, then Singapore’s Deputy Prime Minister, envisioned the creation of a conservatory in Singapore, studied with his team at the Ministry of Education all the best models and finally concluded an agreement with the Peabody Institute of the Johns Hopkins University, to be the National University of Singapore’s (NUS) partner in developing Singapore’s national conservatory: the NUS Yong Siew Toh Conservatory of Music (YSTCM). 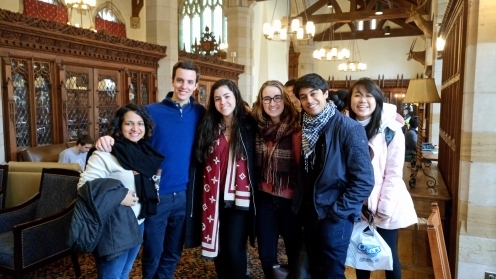 Since then, the Peabody connection has offered semester exchanges at the undergraduate level as well as access to its Master’s programme. In 2011, the Conservatory launched a joint bachelor degree with Peabody, allowing students to attend classes in both campuses in Singapore and Baltimore, USA. The programme is the first and only international undergraduate conservatory music programme of its kind in the world. YSTCM offers a unique and adventurous 21st century Asian environment in which we train and educate performers, composers and recording engineers to take advantage of present and future professional and artistic opportunities worldwide. Currently, 220 of the Asian-Pacific region’s most talented young musicians come to the Conservatory from over 20 countries. For more information on YSTCM, please visit www.ystmusic.nus.edu.sg. I am a recipient of financial aid and I know first-hand the difference it makes to a student’s university experience. By helping out with Phonathon, I hope to add my bit to help other students like me. It is also very rewarding to exchange stories with NUS alumni.